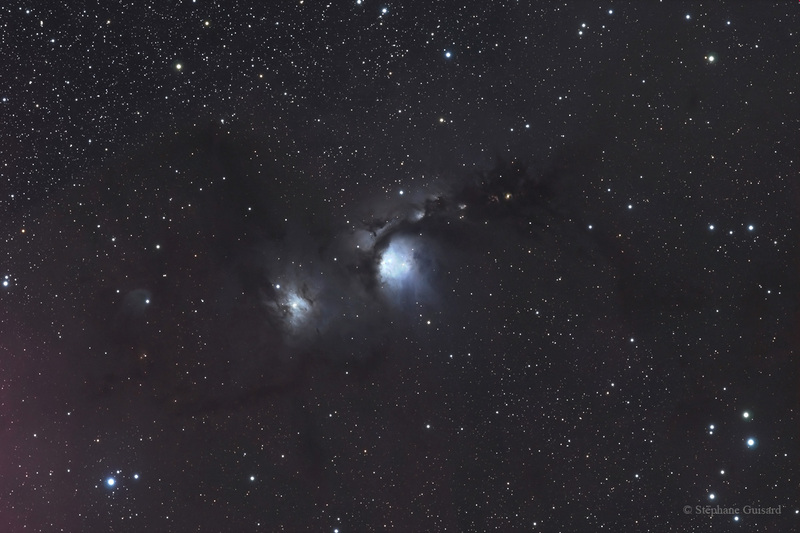 © Stéphane Guisard "Los Cielos de Chile"
Image taken from Chile with a Takahashi TOA150 refractor (150mm diam at f/7.3), an astelco NTM500 mount and a SBIG ST11000M CCD camera + astrodon LRGB filters. Exposure times are 2 hours 50 minutes for each L, R, G and B filters. 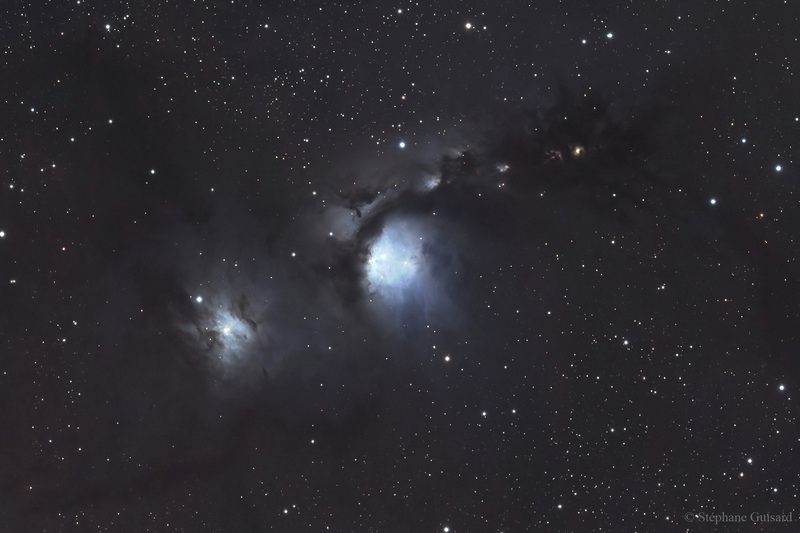 You will find below a binned version of the full field but you should also have a look at the unbinned crop of the nebula itself further down this page.